We absolutely adore the online blog post, "Top 10 Reasons Why All City Girls Need a Fanny Pack." 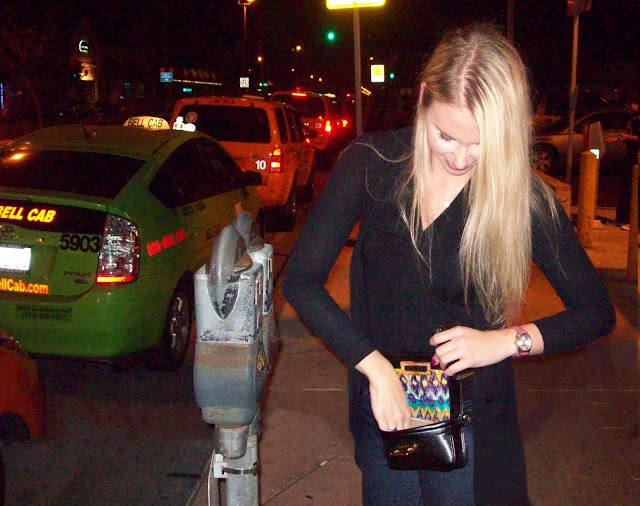 This blogger's intelligent wit and charm, combined with her creative way with words reveal a refreshingly original point of view regarding the belt bag and the subsequent feeling of liberation that comes with adopting this "hands-free" lifestyle. 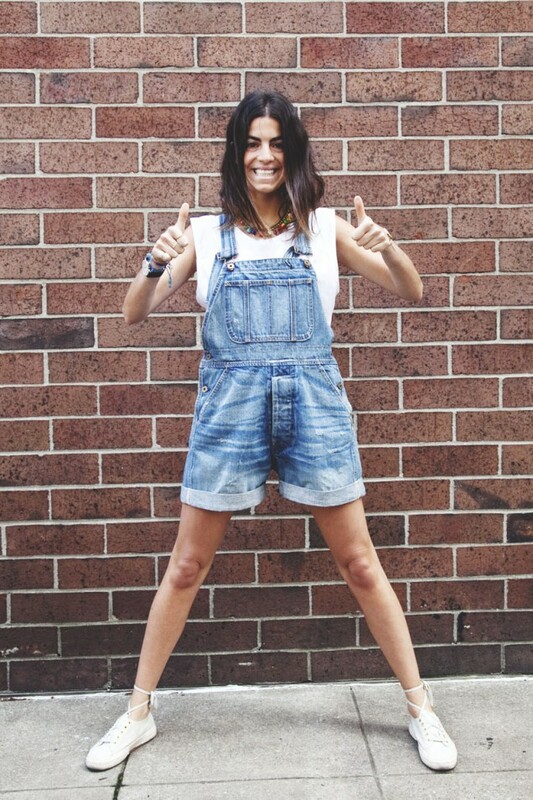 It comes as no surprise that one of this summer's biggest trends is the nature-inspired print. 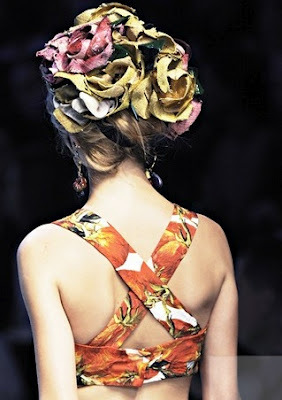 Exotic floral and palm prints have graced the runways this season in a variety of forms: peplum and bra tops, pants, form-fitting dresses, and high-waisted skirts. 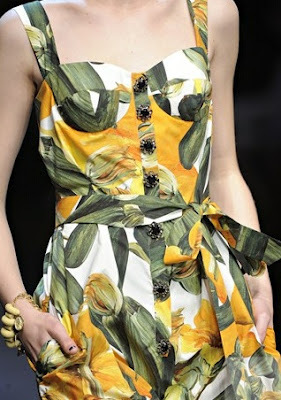 Although often overlooked, fruit and vegetable patterns have also made their way into the Spring/ Summer 2012 collections of countless designers, including Dolce & Gabbana, Moschino Cheap & Chic, Missoni, and Kenzo. The resurgence of nature-inspired prints as a major trend this season suggests a humble return to the earth and celebration of nature and its bounty. The naturalistic theme and combination of warm yellows, oranges, and greens in these patterns are reminiscent of the portrait and landscape paintings of the famous French post-impressionist artist, Paul Gauguin. 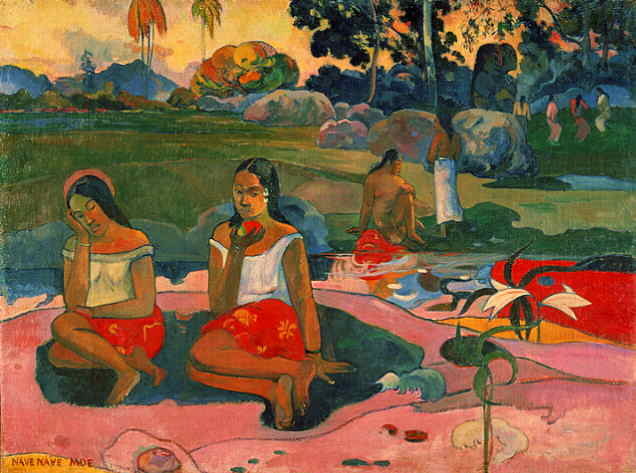 Gauguin (1848-1903) is best known for his painted scenes of Tahiti, characterized by a stark contrast of bold colors and depiction of soft, rounded human figures. For the majority of his early life, Gauguin worked as an artist in Paris, where he lived a bohemian lifestyle typical of artists during the late 19th century. 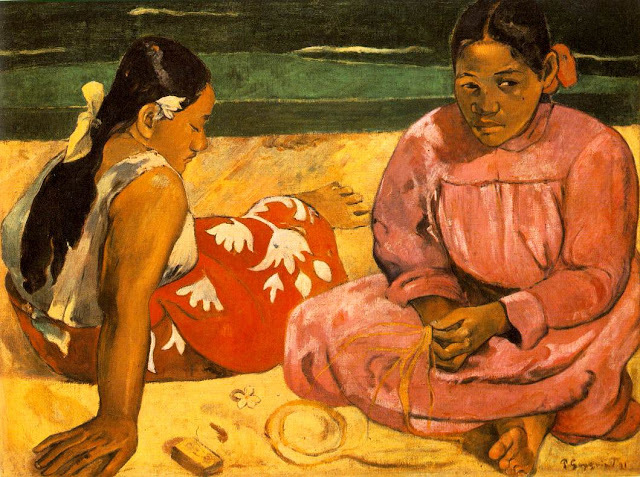 However, Gauguin quickly grew dissatisfied with the Parisian bourgeois society and in 1891, left Paris and Western civilization as whole for the remote island of Tahiti. For Gauguin, Tahiti was a land of beautiful and strong people, untainted by the superficiality of Western culture and instead, grounded in a love and respect for the earth and natural environment that surrounded them.